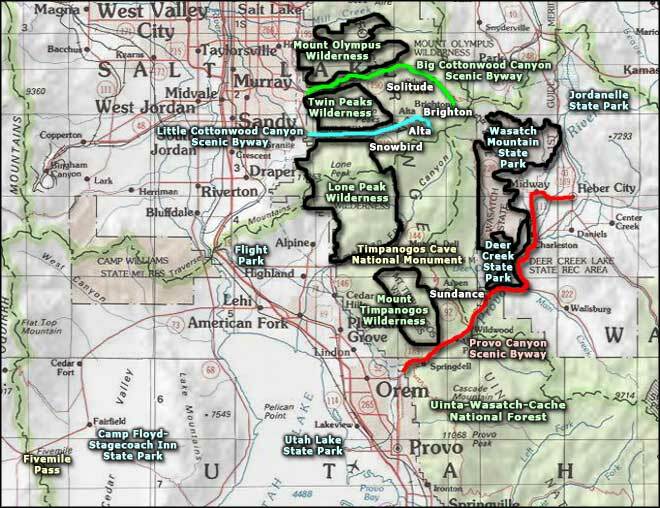 Wasatch Mountain State Park is a nearly 22,000-acre preserve offering year round recreation: hiking, picnicking, golf, camping, biking, snowmobiling, horseback riding, snowshoeing and cross-country skiing. Soldier Hollow at Wasatch Mountain State Park was one of the host facilities of the 2002 Winter Olympic Games, and the Olympic venues are now open to the public year round. 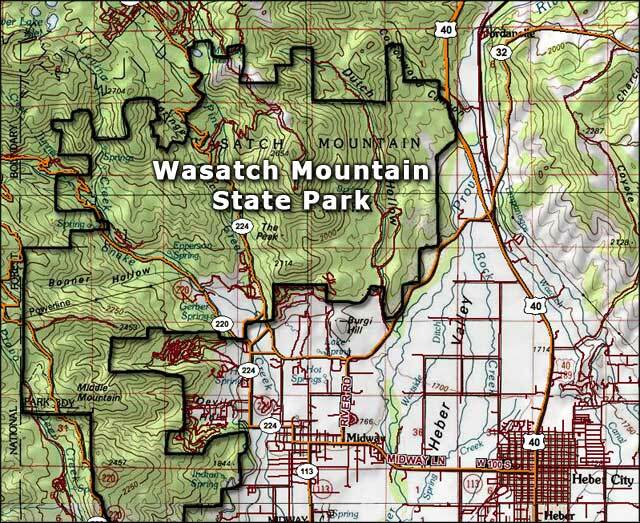 Wasatch Mountain State Park is open daily except Thanksgiving, Christmas and New Year's Day from 8 AM to 5 PM. A day use permit costs $5. Camping at Cottonwood Campground with full hookups: $25 per night, without sewer: $20 per night. Camping at Mahogany Campground: $25 per night (water, electric and sewer), at Oak Hollow Campground: $20 per night (electric only), Cottonwood Campground: $20 (water and electric), $25 (water, electric and sewer), and at Little Deer Creek Campground: $13 per night (no hookups). 18 holes of golf (with a cart) at any of the four golf courses: $42. All 139 campsites are closed in the winter months. 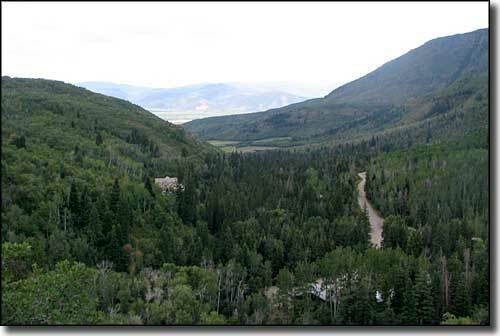 Wasatch Mountain State Park is located on the eastern slopes of the Wasatch Mountains on the northeast corner of Midway, just west of Heber City. Upper photo courtesy of Thomas Kriese, CCA ShareAlike 2.0 License. Area maps courtesy of National Geographic Topo!